I've reviewed my fair share of power banks. I recently received one for review with a bit of a twist. 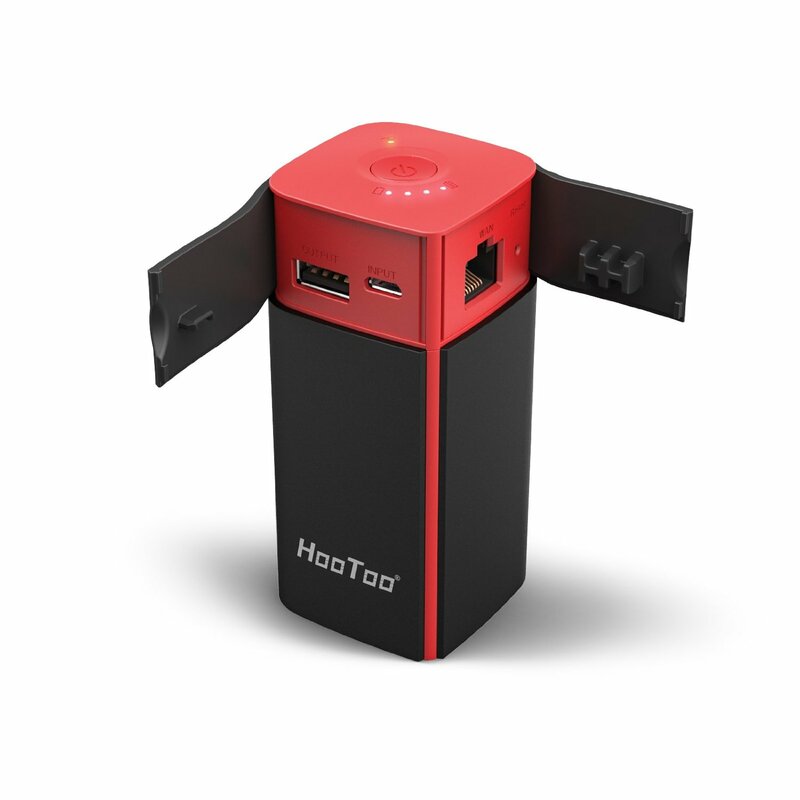 Instead of being just a powerbank, the HooToo TripMate Titan includes a built in router. Why do you need a router in a powerbank? First, think of it more as a portable router than a router with a powerbank. The battery can certainly recharge your phone, but it is meant more to power itself. Read on for a review of the TripMate and for information on the #INTOTHEWIRED Photo Contest. When / where will you use the HooToo TripMate Titan? 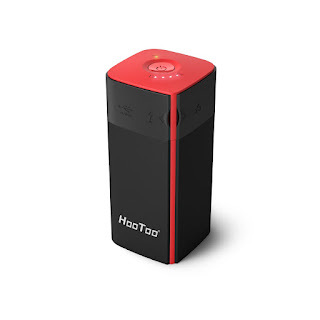 If you're stuck in a hotel without wireless access, that instead offers you a wired connection, you can take advantage of the TripMate Titan Wireless Travel Router to convert that single wired connection into a shared wireless connection. Then, you can connect your laptop, phone, tablet, etc. to the TripMate so each can get online. Another use is as a media streaming hub. Go on a long plane ride and keep your movies on a thumb drive connected to the TripMate. All your family can either watch the same movie or their own choice. 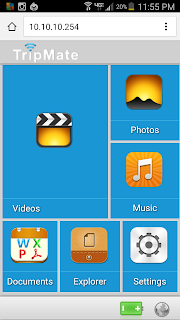 No need to fill your device's precious storage with the movies. Up to five devices can connect to any USB storage devices connected to the TripMate. There is one USB connection on the TripMate but you can certainly use a hub to connect multiple storage devices. How exactly does the TripMate work as a router? First off, you hold the power button of the TripMate down for three seconds to turn on the WiFi connection. Then, you go into the appropriate setup screen of your phone/system and find something named TripMate, mine was named TripMateSith-nnnn, where n is a digit from 0-9. The default password to connect is in the instruction manual. Open up your browser and you have your interface, like above. Listen to music, watch videos, or just explore your photo albums. You can transfer files between the TripMate and your phone or across multiple devices connected to the router. It is really easy to do/use. The magic of the unit is hidden under a rubber strip that wraps around the top of the device. That's where all the ports are hidden. The input micro USB port is 5V/2A, while the single output port is 5V/2.1A. It can store up to 10,400 mAh of power. There are four lights on the top to show the current amount of power available and a fifth light is on the top to show when the wireless connection is active. Size wise the unit is 3.74 inches tall (95mm) and 1.73 inches wide and deep (44mm). Weight wise we're sitting at 8.8 ounces. To me, it looks like a deck of cards cut in half and folded over. A little heavier than a deck of cards but otherwise easy to pack in a travel bag, taking up very little space. If you're a frequent traveler who likes to stay online and don't always stay in the most expensive places, you'll find the TripMate Titan immensely helpful. It is also helpful for those flights with the family to share media, and, as a way to backup files off your mobile devices. For just $60, well worth the convenience it buys you. And, between now and September 28th, you can save $10 using code CMX95B4T. HooToo is running a giveaway now, the #INTOTHEWIRED Photo Contest, where you can win an iPhone 6S, $750 Delta Airline Gift Certificate, or a $300 Amazon gift card. Like the coupon code, the sweepstakes ends on 9/28. Don't miss out entering.